Vancouver Brewery Tours would like to invite you and one of your team members to be guests on one of our fun and informative brewery tours. During the month of November, we will be hosting a series of weekly Private FAM Brewery Tours just for our friends in the hotel industry so you can get to know our company and products better. Each tour will last approximately 3.5 hours and include transportation to 3 breweries, behind the scenes brewery tours at each, three flights of local craft beer, fun times with friends new and old, and much more. Please RSVP at your earliest convenience by replying back to our Tour Manager Jeremie Metcalfe at info@vancouverbrewerytours.com or call 604-318-2280. Due to the high level of interest, seats are offered on a first come first serve basis and are limited to two guests per hotel please – although a waitlist will be established if more than two from your hotel would like to join. A confirmation email with details about your brewery tour will be sent out once attendance is confirmed. As always, thank you so much for your support and we look forward to seeing you and hosting you on tour in November. 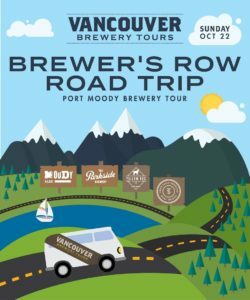 VBT Goes on a Road Trip to Brewer’s Row in Port Moody! 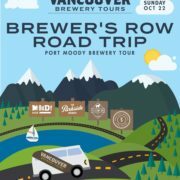 In celebration of BC Craft Beer Month we’ll be heading out to visit Brewer’s Row in Port Moody. Looking to hop on a tour where you’ll meet new people, share a new experience while drinking fantastic craft beer AND go beyond the boundaries of Vancouver? Leave the driving to us and hop on as we head out to Port Moody for the day! When: Sunday October 23rd from 11am to 5pm. Seats are $80pp plus tax. A great option for locals, visitors to Vancouver, couples, friends or just thirsty you! Open to the public, this tour will fill up on a first come first serve basis, and it will fill up fast! Which breweries will you be visiting? 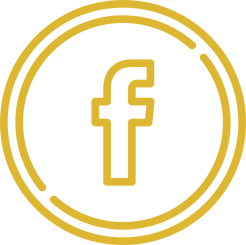 Today we’ll be visiting Moody Ales, Twin Sails Brewing, Yellow Dog Brewing and The Parkside Brewery. Brewers Row breweries are all located within walking distance of each other so we’ll be parking our van and heading out on foot (walking distance is 1km total for the tour). While on the road, our guide who will share fun facts about craft beer, the Port Moody beer scene, and also about the iconic neighbourhood you’ll be visiting. Meet up and drop off for this tour is conveniently located in East Van, just 200 meters from the Commercial/Broadway Skytrain Station, out front of St Augustine’s (2360 Commercial Drive) which is also a great spot to grab a bite and beers post tour!